After three dramatic and suspenseful days in Minsk the day of destiny has finally arrived with Sunday 18th November marking the conclusion of the 2018 ITTF Challenge Belgosstrakh Belarus Open. The opening item on the day’s programme sees Japan’s no.15 seed Miyuu Kihara do battle with the sole European competing in the Women’s Singles semi-finals, no.6 seed Polina Mikhailova. Featuring two differing styles, will it be the Japanese competitor’s attacking prowess or the defensive skills of the Russian that proves the successful approach? One Japanese representative in the Women’s Singles final is already a given heading into the final day with Saki Shibata and Minami Ando set to meet in the other semi-final. All three of their previous encounters have come at Under 21 level with Saki Shibata leading the head-to-head record by a 2-1 ratio but Minami Ando is a fierce rival who will put up a strong fight in their first meeting at senior level. Then the attention turns to the Men’s Singles competition as Shunsuke Togami and Cristian Pletea face off for a place in the final. Unseeded for the event, Japan’s Shunsuke Togami has outperformed expectations in Minsk and was responsible for the elimination of top seed Kou Lei in the second round. However, Cristian Pletea has also been in fine form and will be keen to reach his first final in the category. In the lower half of the draw fourth seed Lubomir Pistej, the highest seeded player left in the race, will oppose China’s Zhao Zihao, who already has one trophy to his name so far in Minsk following his successful outing in the Under 21 Men’s Singles event. With just two rounds remaining, Zhao Zihao is well placed to add a second gold medal to his collection – could we see the qualifier pull off another major upset by going all the way to the top? 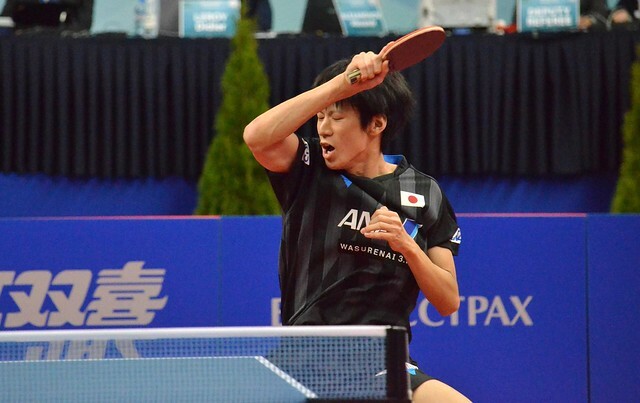 Japanese partnerships will feature against mixed association pairs as the two doubles events draw to a close. Second seeds Satsuki Odo and Saki Shibata will represent the Land of the Rising Sun against the Slovak and Czech duo of Barbora Balazova and Hana Matelova, seeded first, for the Women’s Doubles trophy while the Men’s Doubles title will be awarded to an unseeded partnership as Kakeru Sone and Yuta Tanaka take on fellow qualifiers Kou Lei and Wei Shihao of Ukraine and Croatia respectively. The day concludes with the Women’s Singles and Men’s Singles gold medal matches.